State Park located off of Highway 22 between Madisonville and Mandeville where the Louisiana Lake Pontchartrain Causeway leads to New Orleans. 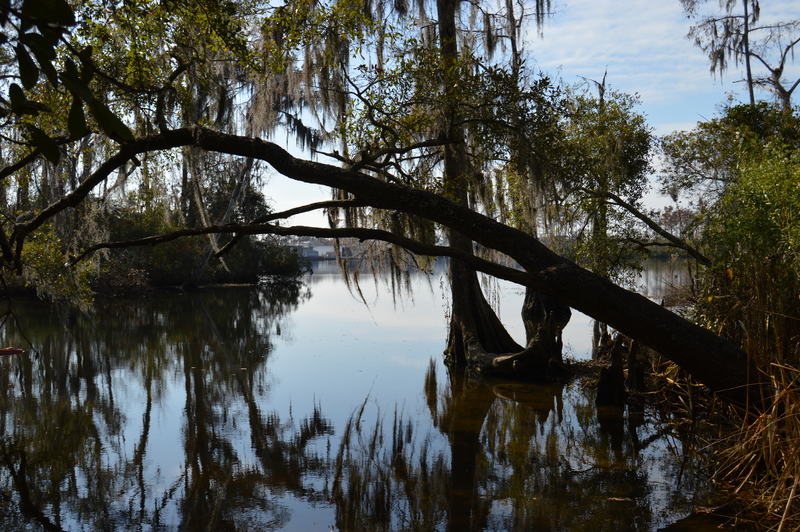 The park is located on the Tchefuncte River. We found a serene view of the river, were close to the boardwalk, pier, and swamp trail. It was far enough from the cities and highways to be quiet, but close enough to go into to town for site seeing and supplies. We found Madisonville quaint and charming and spent an afternoon at the Maritime Museum learning the history of this at (one time) a ship building and industrial port. The display of boats such as the Biloxi Schooner that were built with specs for the local waterways was interesting new information for us. The museum offers ship building or restoring classes and is a popular community gathering place. We certainly are enjoying the surprise at each destination, whether it planned or impromptu as this one!